All the baby ducks appeared to be in good shape. 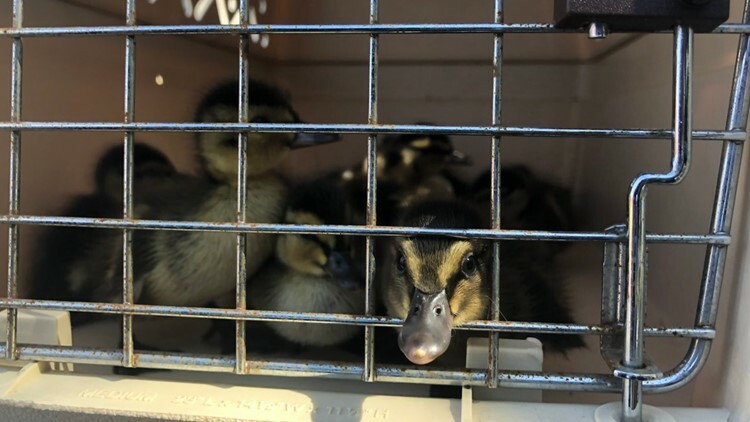 CHULA VISTA, Calif. — Over a dozen ducklings were rescued Sunday after falling into a storm drain in South County San Diego. The Chula Vista Fire Department said they received a call around 2:30 p.m. from the 800 block of Showroom Place that baby ducks had fallen into the drain and were stuck. Fire department personnel were able to rescue all 13 ducks in about 45 minutes. They were taken in by animal control when there was no sign of the mother.